I'm sure there's something else I should show you, but I keep grabbing this project when I sit down. Love. It. 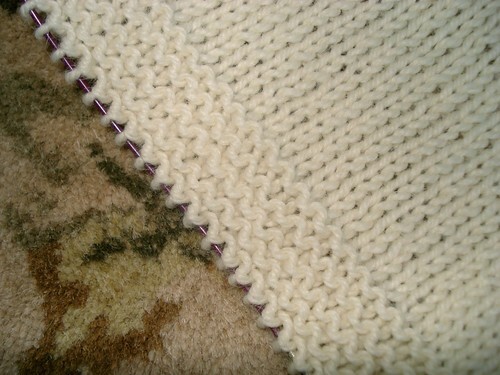 I'm now on the lower edging on the body and I'm more than halfway through that. Then it's just sleeves and front edgings to finish! Also, I'm still completely in love with this yarn. Just in case you were wondering. What a beautiful sweater. No wonder you are in love!